When getting a gift for your 6-year-old girl ask yourself whether the gift will be age appropriate and whether she will be interested in it. Also, keep in mind her development level, cognitive growth, and physical abilities. Buying gifts that will help her further develop her language use; sensory and motor development will be an excellent idea (Source). Parents constantly question whether their children are developing at the right pace and whether there is something that they can do to help. Before you decide that your little girl needs help with development, remember that most children develop very differently (Source). However, there are several milestones that are meant to act as guidelines and as strict criteria. The main milestones to keep an eye on are language use and academic achievements. Plus, they should show some form of social and emotional development for a 6-year-old girl with the right use of language to express her feelings. Furthermore, pediatricians highly recommend gifting toys and other gadgets that encourage girls to express their thoughts in sentences that are at least 5 to 7 words long. 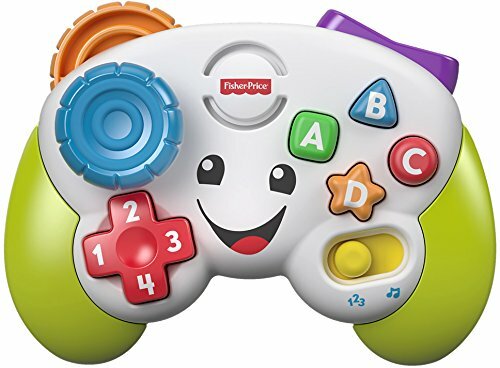 Also toys that ask your children to carry out instructions that includes a series of commands. Also, games and puzzles that teach children that some words have different meanings can be very useful; they should also be able to use these words to express some sort of humor. Pediatricians also recommend parents to gift various books to encourage reading and the general love of books. 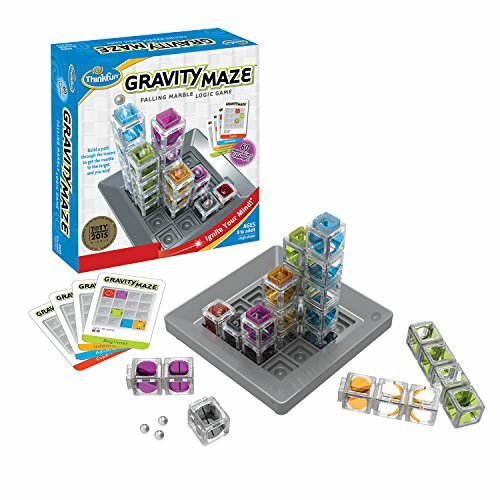 Also, games that teach anything that has to do with mathematics will be a great gift too. If you think that your 6-year-old girl is lacking in development, schedule an appointment with a pediatrician or a school psychiatrist. 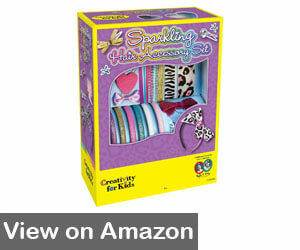 A great set for girls who like all things fashionistas do, especially if your little girl likes braiding hair. The set allows little 6-year-old girls to design unique and stylish hairclips with ribbons and bows. Plus, they can design stylish headbands with rhinestones and feathers or cute hair clips with glitters and gemstones. 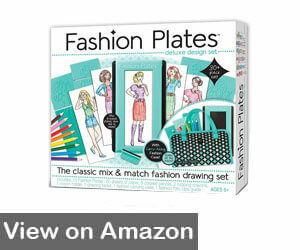 Also, this kit helps develop essential life skills such as sketching, sewing, and styling. 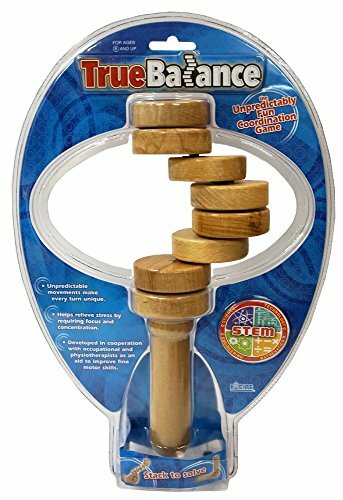 Furthermore, the set aids the development of hand-to-eye coordination, small motor skills, critical thinking and most importantly problem-solving. Overall, the set carries enough supplies for 6 various headbands and 4 hair clips so your daughter can use with her friends at a sleepover. Also, 6-year-old girls can design headpieces to match their outfits or other accessories. You can use other decoration-worthy items that are lying around the house such as sequin flakes, stickers or dry flowers. Miscellaneous items such as a gel cord, double-sided adhesives, and craft glue is included in the set. Since this brand has been operational since 1976, parents can fully trust they produce safe products for children that do not contain harmful or toxic components. In addition, to creating safe products, the company aims at creating useful items that will stimulate and encourage thinking, planning, natural creativity, and fun. Hyper Toss Action Game is an electronic version of a traditional catch ball game that will test your little girls for speed, creativity, and interactivity. This gift will stimulate her to run, jump, and skip- what more can you ask for a gift for an active 6-year-old girl? Your girl can play with you or her friends and raise to beat them in catching the softball game as quickly as possible in one of the colorful cups that come with the package- only by listening to the audio instructions. 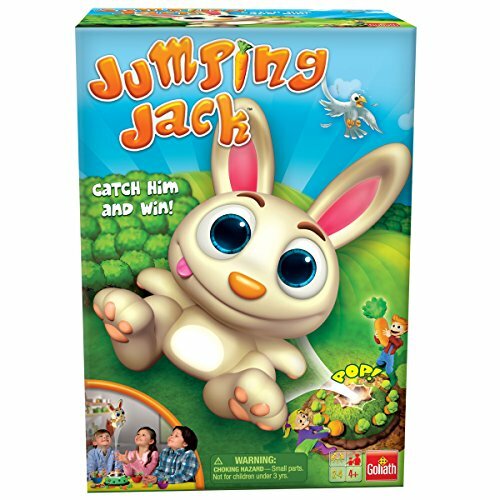 The game offers 4 different modes and fast-paced, active game is bound to be the next best hit with kids in your neighborhood. 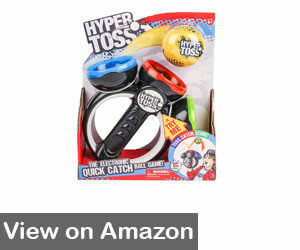 Moreover, this toy offers several modes that can be used to train short-term memory as with the Memory Toss Mode. Plus, the Super Toss Mode will encourage your 6-year-old daughter to play as fast as she can thereby significantly training her hand coordination and motor skills. The Hyper Toss Mode will allow her and her peers to practice their own creativity with the way they catch the softball in the colorful cups. A brilliant idea that was provided by a daughter of one of the employees at the Orb Factory, this set comes with a medium sized children’s clutch that a light sketch inked on it. The inside of the clutch contains hundreds of different jewels that vary in color and size. Your daughter will massively improve her coordination and concentration skills as she will sort out the jewels and mix and match them by gluing them onto the purse. Mothers have reported their children being deep in thought and process with this set. Plus, girls adore accessories especially purses. Double that with the next best thing they adore, jewels, and you have the perfect for a 6-year-old girl gift for Christmas. Furthermore, the jewels come in sticky mosaic lines that are easy to peel from when needed. Otherwise, they can be stored for as long as needed without getting damaged or lost. 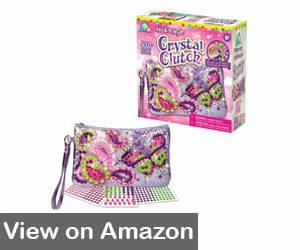 The clutch itself can be used to store other accessories such as girl’s bracelets, earrings, hair clips and so much more. The jewels have an adhesive lining on them, so all that is required of your girl is to just peel and transfer the jewels, no glue sticks or other items are required. Plus, parents can pair this set with other sets in the collection. Gift your child the carefree riding experience that you indulged in yourself when you were little with this original and sturdy scooter that is made out of high-grade aircraft aluminum and 98 mm inline-style wheels out of urethane. The T-tube design is patented for its great design and durability while the deck design easily folds to give way for easy transport. Moreover, the urethane wheels come with ABEC 5 bearings and the back fender break enables quick stops. The whole scooter only weighs 3 kgs and can be easily carried by your daughter wherever she goes including up and down the stairs. 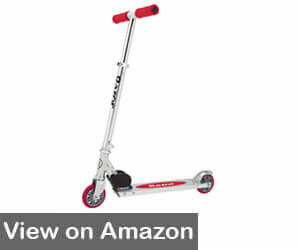 The original Razor scooter was first presented to children and the public in 2000, since then it has become one of the most talked-about toys and riding accessory. 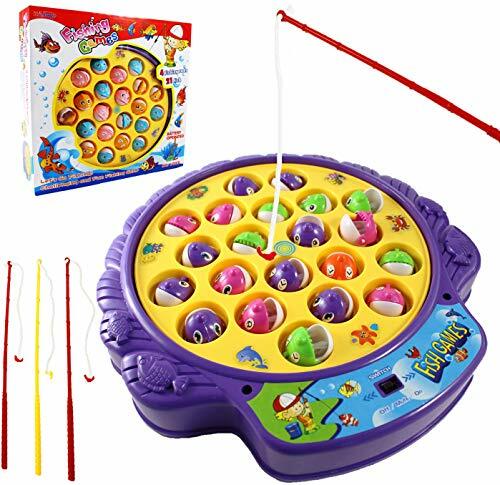 It has even won a prestigious Toy of the Year award in 2001 from the Toy Industry Association (Source). Nowadays, the scooters have become an integral part of American Youth Culture and have even become a more of a classic mode of transportation, somewhat on the same level such as bikes and skateboards. This Razor skateboard is available in several different colors for boys and girls and has a good foam grip on the handles for sturdy direction control. colored pencils, 20 sheets of sheer paper, 2 sketching crayons and 15 fashion plates with holders, drawing tablet, a plastic carrying case and a detailed instruction booklet. The instruction booklet comes with lots of illustrations and pictures to help girls with ideas and plate making. A beautiful, musical jewelry box that comes with four drawers and intricate floral design that will suit any room decor. The jewelry box has one large drawer in the middle that can be used to store larger accessories such as bangles, chains, and necklaces. The one in the back contains a padded section that can be used to store earrings and rings. Plus, there are two small drawers around the sides. 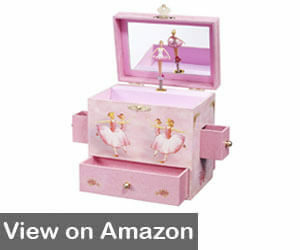 Once the lid is opened, a pretty and small ballerina appears on stage in the middle. Once the key is turned, a sweet tune of Swan Lake starts playing and the ballerina begins to dance. A clear and accurate mirror is located in the lid and every drawer is lined in the softest, velvet-like fabric so that precious jewelry does not get scratched. 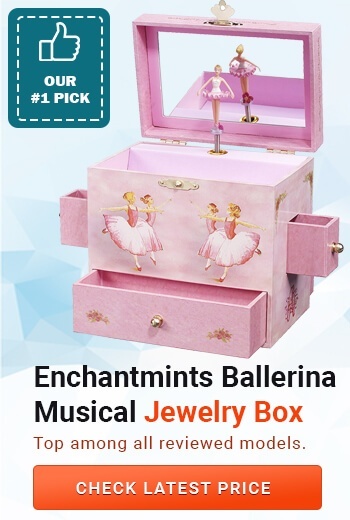 This musical jewelry box is part of the Enchantments Ballet Collection, so you can confidently go ahead and paired with other items from the collection. Having an own jewelry box can help your daughter feel proud of her little collection and instill a sense of confidence and pride in having something of their own. 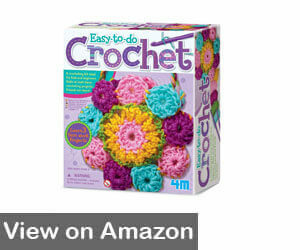 A perfect includes two hooks for crocheting, a safe plastic needle and 7 different colored of yarn. The set is designed to contain enough materials to create a medium-sized kids coaster, a small handbag, and a belt or placemat. The crocheting hook was reported to be quite big, somewhere around the H size. Moreover, for parents who do not know crocheting themselves, the manufacturer has included a clear instruction booklet that contains lots of pictures. Mothers can also match this kit with several others that come in the collection such as weaving, knitting or cross stitching. 4M has been manufacturing toys for over 15 years; they produce a wide range of educational toys that are meant to awake children’s interest in science, the universe, engineering, and arts. All 4M toys are made from safe materials that do not contain BPA, parabens, latex, polymers or heavy metals. 6-year-old girl are full of contradictions, she has her one foot firmly still in the big-kid world of laughter, fun, and silliness. On the other hand, she has her other foot in a pool of insecurities that arise when children grow from toddlers to big kids. These insecurities mainly arise from children not having mom and dad around the clock for constant emotional and sometimes physical support. As your girl frequently experiences school, parties, holidays and play dates or other activities she might need more attention from you and would require more comfort cuddling. Parent’s confusion as to what to gift a child that has seemed in a day morphed from a cute toddler girl to a first-grade school girl is fully understandable as kids at this stage can grow an average 2.5 to 3 inches a year. Plus, at this point in time, some girls exhibit great achievements in sports and other physical activities while others might need some urging and training. Moreover, height growth variation will occur too almost surely as children develop and grow at different rates. For example, if you are buying a similar bike to what your daughter’s cousin has, then pay special attention to their height differences and whether the pedals can be adjusted. Furthermore, look for gifts that will stimulate running, jumping and throwing because at this stage children need all the physical activity they can get as most of their time is spent in the classrooms or at home sitting on a couch and watching movies or playing video games. In fact, latest research and studies have shown that physical activity is the number one activity that develops and maintains cognitive function in young children. In conclusion, I would recommend looking for gifts that will help develop fine motor skills and coordination such as writing understandable letters, drawing comprehensive pictures and knitting or sewing. These activities will help 6-year-old girls improve their accuracy with tools such as scissors, markers and masking tapes. Plus, they will get better at tying their hair bows, shoelaces or buttoning up their shirt. A lot of the toys in this article come from various toy collections, hence if your gift will become a hit with your little girl, you could go ahead and gift her other ones too. In the end, she could have a collection she would be proud of.